The 2019 Ram 1500 has been redesigned to accentuate the features that customers love most. This year's model brings more storage options, more safety and security features, more connectivity options, and the list goes on. 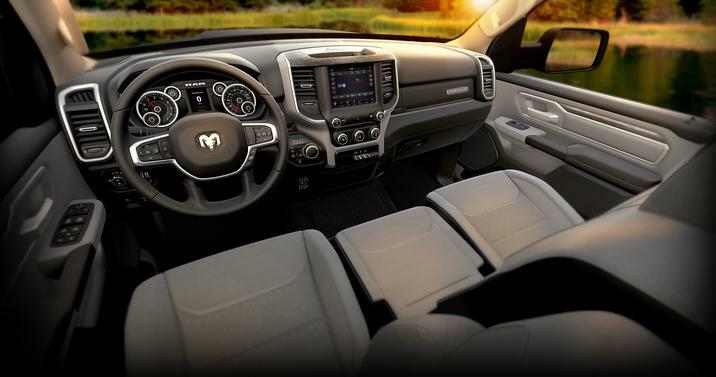 With the refined power and dedication to detail that Ram upholds, you can expect the 2019 Ram 1500 inventory near Sevierville, TN will be impressive as ever. 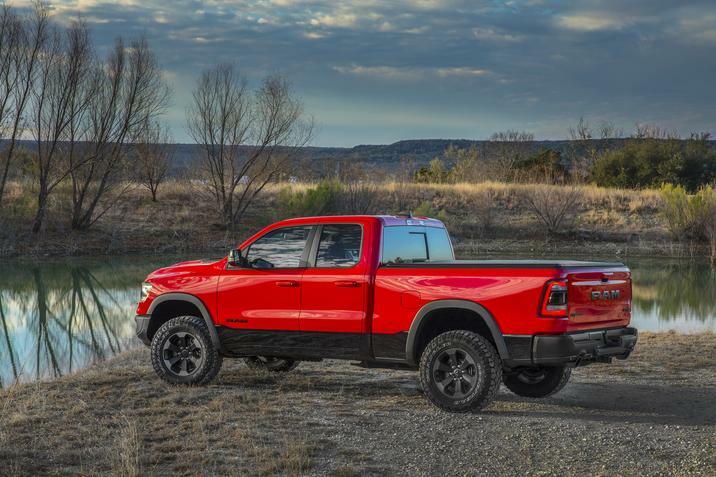 Rocky Top Chrysler Jeep Dodge will have all of your 2019 Ram 1500 options for sale as soon as they hit the market. Test drive a 2019 Ram 1500 near Sevierville, TN soon. Design your 2019 Ram 1500 exactly like you want it. Get the color schemes, luxury materials, and interior options that fit your lifestyle best. Match your needs with the technology that helps you get ahead. Never settle for less again. Get the truck that works hard and looks even better. The 12-inch touchscreen used for audio, navigation, and more is the largest in the 1500's class. You can also opt for the split screen option, or the slightly smaller 8.4-inch touchscreen. You will also notice the enhanced noise cancellation technology, as road and engine sounds fade out when the doors shut. For the best sound inside, opt for the Harman Kardon® Premium audio system. Find out all of the seemingly endless options for yourself when you check out the new 2019 Ram 1500 in Kodak, TN. As if leading the truck market in capability wasn't enough, engineers have pushed the 2019 Ram 1500 to even greater heights. This is the model you have been waiting for. A top towing capacity maxes out at 12,750 lbs., while you can carry up to 2,300 lbs. of cargo. The high-strength steel frame provides the structural stability needed to handle that kind of workload, while the suspension and supporting technology back it up. The three engine options include the 5.7-liter HEMI® V8 with eTorque, the 5.7-liter HEMI® V8 engine, and the 3.6-liter Pentastar® V6 engine with eTorque. An eight-speed automatic transmission ensures that you get the most power and the best efficiency no matter what you may be up to.